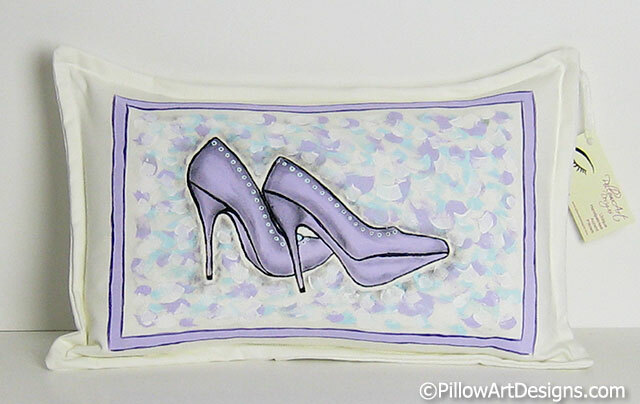 Here's a really pretty decorative pillow featuring a pair of mauve lavender high heels with aqua trim down the sides, background is mauve, aqua and white, framed in mauve. 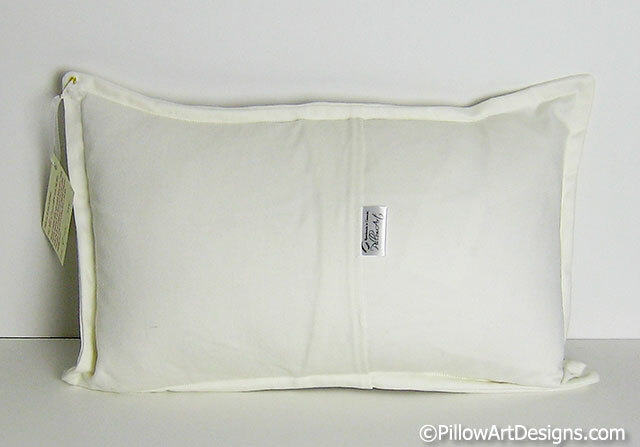 This pillow would make a lovely decorative accent for the bedroom. 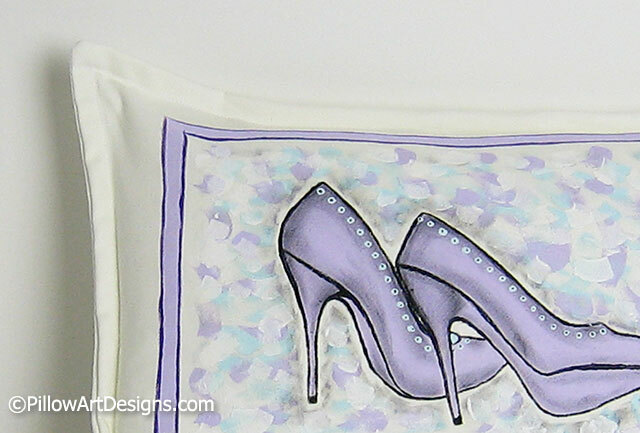 Also, great for home staging use or boutique display decor. Comes complete with down feather insert. Save on shipping, contact me about purchasing the cover without the insert.